At times it becomes necessary to rename a large number of files at once. Maybe it’s because you just downloaded a batch of photos from your digital camera, or maybe you realized a lot of your MP3 files weren’t named correctly. Regardless of what and why, it can be incredibly tedious to have to rename item after item, especially if you’re performing the same modifications to each file. 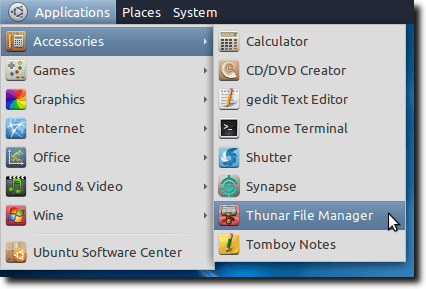 There are stand-alone batch renaming utilities available for Linux, but if you use Xfce (or simply don’t mind installing a second file manager on your System), Thunar – the default file manager in Xfce – has a fantastic batch renaming utility built-in. The first step is to install Thunar. To do this, let’s open up a Terminal window. 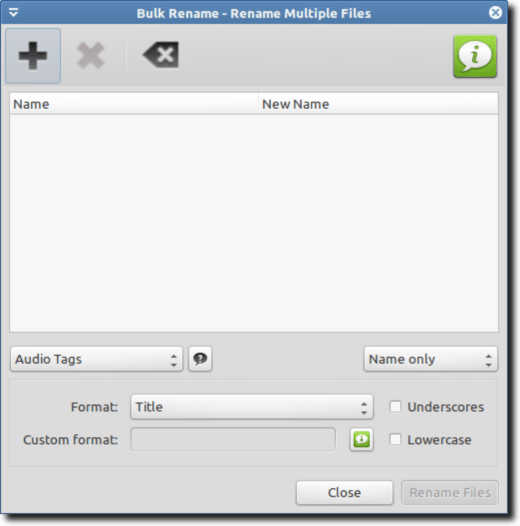 This installs both the Thunar file manager and the tag plugin, which allows Thunar to edit tags and the bulk rename tool to rename files based on their tags. Once the installation process is complete, you’ll find a Thunar File Manager entry in your Accessories menu. Hit Y, and then Enter, when asked which name to save your file as. 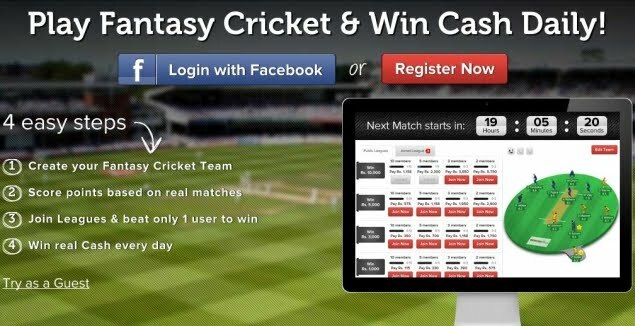 Note: Hitting Enter without giving the file a new name simply saves the changes in the original file. Now when we return to the Accessories menu, you’ll notice a new menu entry. This is what we want, so go ahead and open it. You’ll see the four buttons in the toolbar, which from left to right are for adding new items to the file list, deleting selected items, clearing the entire list, and – on the far right – displaying info about Thunar Bulk Rename. To add some files, first click the plus sign and select your files from the file picker, or simply drag them into the window. Once the files have loaded, you’ll notice two columns. The column on the left has the current name of the files, while the column on the right has the new name of the files, if anything would be changed. In the above example, you can see that the Uppercase/Lowercase operation is in use. 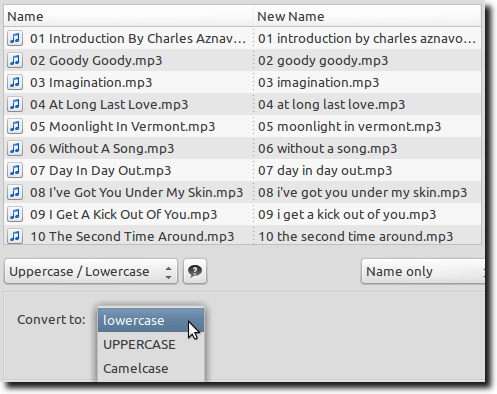 If we continue and click the Rename Files button, all the file names would be converted to lowercase. Also available (look at the pop-up menu), is an option to convert everything to Uppercase, and one to use Camelcase, which is where the first letter of every word is capitalized, and every other letter is lowercase. Also, the pop-up menu that reads Name only allows us to control what is modified. We can modify only the name of the file, only the suffix (.doc, .mp3, etc…), or both. This is useful if you have a batch of files (let’s use music as an example), where some files have MP3 while others have Mp3 and still others have mp3; using the Thunar Bulk Rename tool, you can make them consistent. 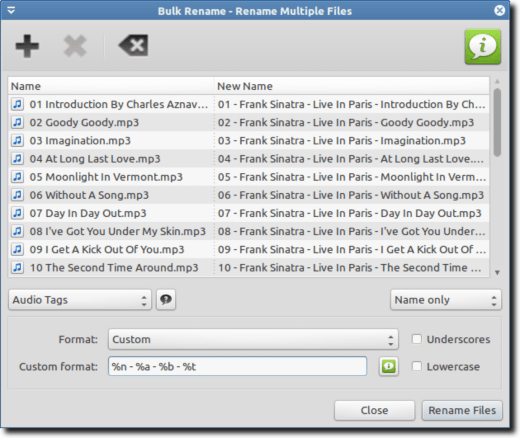 In addition to adjusting the case of the file names, Thunar Bulk Rename offers us the ability to search and replace within the title, to insert text (or overwrite), to add numbering, insert the date and time, and to remove characters from the file name, starting at the beginning, the end, or “x” number of characters into the name. It’s a very useful tool. We can also adjust the case should we want it to be entirely lowercase. And that’s pretty much it! When you’re finished renaming your files, simply click the Rename Files button found in the bottom-right corner. The process is nearly instant (as the only thing changing is the title), and in a second or two, all your files should be renamed. Thunar Bulk Rename is an incredibly easy-to-use, wildly useful program, and one that should ease the workload for anyone with a lot of files to rename all at once.